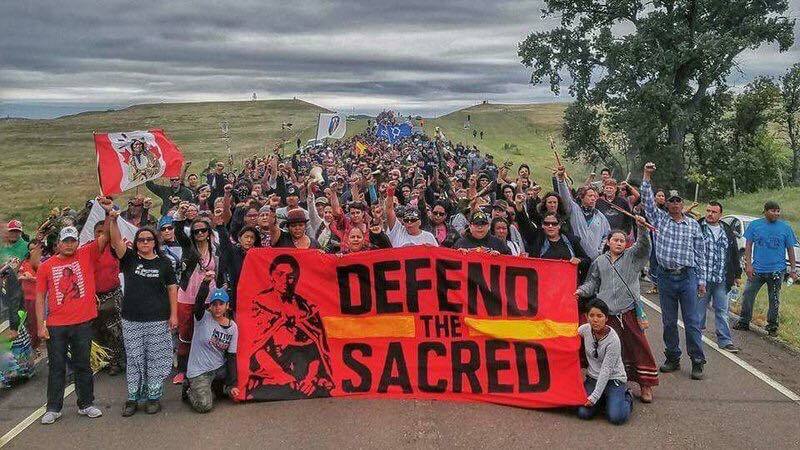 See the standingrocksolidarity.tumblr.com/ s for videos, photos, and comments from supporters all over the world! Veterans are standing up for Standing Rock protesters. Thanks for standing with Standing Rock! 9/16/16 El Tecolote Bilingual Newspaper of San Francisco for runs a headline feature story about Standing Rock. 9/30/16 Muslim- Americans Stand for Standing Rock - AJ+ 1:32 Beautiful Video! 10/24/16 The next generation bringing it! Jaden and Willow Smith Standing for Standing Rock. 10/31/16 The young people of Kahnawake blocked the Mercier Bridge on Friday and are maintaining a fire at its base still. Yesterday the people from Akwesasne marched up on the international bridge that goes to Cornwall Island. 11/3/16 - Arrestsimminent @ ND State Capitol after clergy were denied entrance to the governors office. Interfaith prayer circle happening outside.